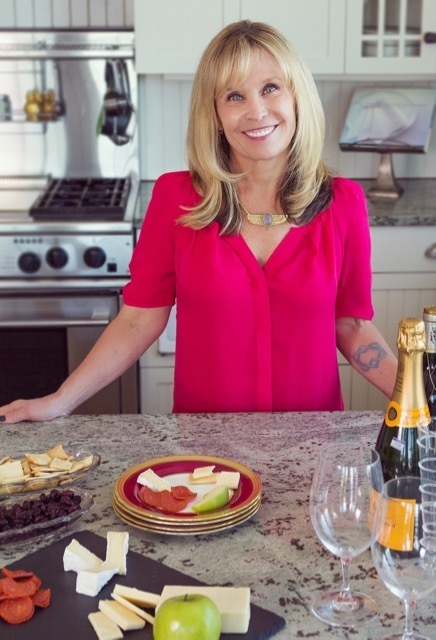 Candace Karu, Life Style Expert at Cabot Creamery Cooperative, the makers of Cabot Cheese joins eHealth Radio and the Fitness, Health News & Nutrition Channels to discuss small changes to lean towards a healthier lifestyle. Tell us about Cabot Creamery Cooperative, something listeners may not know. What are some simple steps listeners can take to lean in toward a healthier lifestyle? What are some easy substitutions or additions we should be incorporate in our diet? How about exercise? Any easy ways to incorporate movement without going to the gym everyday? How would listeners learn more and get additional tips/healthy recipes? Candace is a social media marketing strategist, a lifestyle blogger, a passionate cook and a fitness fanatic. She is ready to help your audience gain the upper hand on cooking and fitness, lend your organization her talents and experience with seminars and demonstrations or enhance your publication with her insights and very clever writing on food and lifestyle. Whether it's a live TV cooking demonstration or a social media seminar, a fitness class or a guest blog post, Candace works creatively with warmth and humor to engage. Her thousands of followers on Facebook, lnstagram, Twitter and Pinterest rely on Candace for the latest trends in food, fitness, cuisine and culture. Candace loves working for Cabot's 1,100 farm family owners, spreading their message of developing and maintaining healthy bodies and communities by giving her audience the tools to make lives better, healthier and happier. During the past decade with Cabot, Candace has done scores of interviews and cooking appearances on TV, radio and online outlets, including Good Day L.A. She's hosted seminars on cooking, wine and cheese pairings, creating healthy kitchens, kids' fitness and senior fitness, and has appeared on panels at conferences to talk about dairy farming, fitness, work-life balance and cooking. An award winning writer, Candace is also the former Editorial Director for Running Times Magazine. In addition to her professional life, Candace is dedicated to maintaining a fit and healthy lifestyle. This 60-something athlete has completed more than 200 road races across the world, and is a veteran of 19 marathons including Boston and NYC. Her enthusiasm for fitness isn't limited to running. She is a certified IFA Aerobics Instructor, Personal Trainer, Sports Nutritionist and Senior Fitness Instructor, as well as an avid Cross Fitter, hiker, biker, kayaker, paddle boarder and dog-walker.